Not in the style of Homer Simpson, but more like Old McDonald. Whenever I think about stockpiling an emergency store of dairy, like cheese, yogurt, and milk (which, um, my kids LIVE on! ), I look at all the powdered milk options and figure the very best way to have milk on hand if you’re cut off from the standard food supply is to have your own cow. Since I suppose that’s not really an option for everyone – and not a baby step! – let’s explore some alternatives as we continue our real food attempts at preparedness. Number two is why I love this guy and have learned so much from his book, which really does teach the basic skills of homemaking, including bread making (sourdough), dehydrating, cheesemaking, and preserving the harvest. Number one, of course, is where we don’t see eye to eye. In spite of the fact that I’m still not sure if powdered milk is the evil it’s been made out to be in the case of oxidized cholesterol, I still don’t feel like it’s a real food. And I’m wary of the whole oxidized cholesterol thing, enough so that I would never be able to regularly use a big stock of powdered milk. That’s the key, after all – I could stomach buying a few boxes of powdered milk solely for an emergency, but what do I do after a year when they expire? I just wouldn’t eat what I store, so I need to figure out how to store what I eat. Can You Store Yogurt Long-Term? The only solution for dairy/protein that I can think of in my situation for long-term storage is to dehydrate yogurt, preferably blended with fruit, into a flat roll that could be stored and eaten like a fruit roll-up. I’ve tried dehydrating yogurt once, and it works fine. I’m not sure of the shelf life of the stuff, but we would definitely eat it as snacks. The problem would be keeping enough on hand to actually have some left if an emergency arose! UPDATE 2012: Here’s my tutorial on how to dehydrate yogurt. The other yogurt option is a cold root cellar, from what I understand, but I’m really not sure how long fresh yogurt would last (a month?) and it would mean a lot of rotating. And building a root cellar. Not a baby step for me! I guess I’m just going to pray that if any emergency lasts more than a week, I can still get to my raw milk farm and get milk. That’s one advantage of having a real, local source for your milk that I hadn’t thought about before! As long as I can drive 20 minutes, I can have milk, and as long as I know the skill of making homemade yogurt, I can have yogurt! A big part of preparedness for many is learning those basic skills. For cultured dairy and cheesemaking, look no further than the GNOWFGLINS eCourses. I’ve learned so much from Wardeh, who does have a cow (and a goat), and my own homemade yogurt tutorial is a proud guest lecture in the course. It’s ong0ing, with new material every week. See more info HERE. UPDATE: A reader pointed out that yogurt can be made from canned coconut milk – good point! I didn’t really like it when I tried it, but I didn’t use very good coconut milk. I should try again with the creamier stuff. Is Powdered Cheese the Only Way to Go? While one could certainly freeze fresh cheese for a time, if you lose your electricity, that option is out. The shelf-stable cheese generally comes in powdered form, which just doesn’t fit with the “real food” philosophy. What do we think about this cheese? Cheddar Cheese (Pasteurised Milk, Salt, Culture, Enzyme), Water, Sodium Citrate, Butter (Cream), Salt, Sodium Phosphate, Citric Acid, Nisin (Preservative). But there’s a better way. Not something I would do unless and until I get to the point where I’m seriously doing the “prepping” thing, but it’s pretty cool to know that one can wax cheese and store it for year. I love the title of this post: Cheese Wax Will Save Us All. The bonus lesson for the GNOWFGLINS dairy course that just came through email is how to wax cheese! UPDATE: The author of “Cheese Wax Will Save Us All” added an update with a response to negative comments on cheese wax here. UPDATE: Check out some other options (cheese balls stored in olive oil) from Wardeh in the comments. Thank you! UPDATE: You can can cheese as well! (How to can cheese) Thanks, Mama Says! How to Dehydrate Cheese with photos from the author of How to Cook Like your Grandmother. He uses the cheese in a bread recipe, still dehydrated. I wonder if it would go okay in a long-cooked casserole? Very interesting “prepper” conversation with pros and cons of dehydrating cheese. Sound like it’s tough to actually use. From eHow, but doesn’t really discuss in detail how to USE it. Be sure to see the comment for a cold-dehydration method. What did I miss? Are there any other ways to store dairy products long-term? 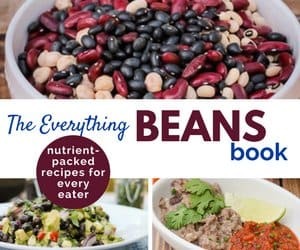 Good Deal: A perfect resource for buying inexpensively AND preserving the harvest is Real Food on a Real Budget – right now 50% off with the code SPRINGSALE. What a deal! I have left yogurt in the fridge for two or three months before with no issues. There are times we go through a lot and times we don’t. I, too, would just hope I could keep getting to my raw milk source and then I could do whatever needed done with it. My kids do love kefir (though I haven’t perfected making it myself the way they like it yet). It’s okay. I’m probably satisfied with the large amount of nuts, dried fruit, and jerky we have and are still working on, in lieu of dairy! I just recently got a milk goat, I’m getting about a half gallon a day and that is more than enough for our families needs. I’ve been trading off quarts for eggs and have plans for cheese and soap making! I also find that I love milking a goat, it makes me feel awesome. Plus I have found that after a few days of drinking Goats milk I don’t even notice the difference between goats and cows. And goats are a lot easier to have than a cow! Just a comment on the dry milk thing. Research has shown that nonfat dry milk is pure MSG. My husband is also living proof of this fact. He has a severe allergy to MSG. When we started drinking dry milk, he reacted with seizures. It took us a while to figure this out, but we did a test where he didn’t eat or drink anything else except that, and he got a seizure. Please notify people of this side effect, as well as it being oxidized, so that they are completely informed of the side effects of their choices. Thank you! Yikes! I’ve never heard of that one, but I’m more glad than ever to remain wary of the stuff…thank you! I live in Las Vegas and having a cow is definitely not an option for us. I would certainly love to have my own cow so I wouldn’t have to struggle to obtain raw milk. I did find a blog that is all about food storage and they have recipes for all sorts of dairy products made from powdered milk- cheeses, yogurt, sour cream, etc. I don’t know how much I’d really want to be eating those things, but if it really came down to an emergency we might just want to have some of them just to keep some sense of normalcy for our children. I am now looking for the highest quality powdered milk I can find. I have heard that Maple Island has a good one. Hopefully that will make a difference. Maple Island has instant whole milk as well. I’m really enjoying your posts on food storage/emergency preparation –thanks so much! I do have a question though. While the mainstream media isn’t reporting on the radiation levels we face here in the US, there are other sources which indicate (at present) we have mid-high levels of some of the radioactive isotopes coming from Fukushima, one of which is caesium-137…said to have a 30-yr half-life. Caesium, not only in the air, but also from the rain/snow we have been receiving, is contaminating our food supply –cows graze on the grass being ‘watered’ by the rain, etc. Since no one (that I’ve found) is addressing this issue on any of the Real Food blogs, my question is, What do we do with regard to grass-fed/raw and/or pastured dairy and meat products? (I’m assuming some fruits/veggies can be grown indoors, but we will need more than that to thrive.) Being the crazy (in a good way -lol) researcher that you are, I thought I’d see what you come up with. As a west coaster, I’ve been wondering your & the real food crowd’s thoughts on radiation from Japan. While certainly not a baby step, my husband and I bought a dairy cow two years ago when I learned the difference between pasteurized and raw milk. We can buy raw cow mik locally, but at $14.69/gallon it seemed more prudent to pay $600 for a cow. Yes, we’re fortunate to live where we can do that and to have had the funds at the time. She was newly bred, so not in milk at the time, so we also bought a couple of dairy goats who were in milk. As long as we can keep feeding them, they’ll keep giving us milk. We had a long battle with the cow once she did give birth and I’m sorry to say that she won. Even the lady we bought her from couldn’t tame her-she took her back for 6 weeks to try and has been milking cows for 8-10 years, so I didn’t feel quite so bad. We haven’t bred her again, but we do have plenty of goat milk and I’ve learned to make just about every dairy product except hard cheese-and that’s on the agenda this summer. I just signed up for GNOWFGLINS again and after the sourdough courses will jump into the cultured dairy too. Forgot to add that when the goats were dry we just did w/o milk and yogurt, though I still bought cheese, as that’s not something I’d learned to make yet and wasn’t willing to go w/o, but could if we had to. Kelly, how long were your goats “dry”, and could you have frozen enough extra milk to be able to keep drinking it and making yogurt through the dry spell, or not? Yes, but I hadn’t fully tested that option early enough to store more. I had frozen 3 quarts in a gallon jar last July and never thought to thaw it and see how it “revived”, so never did freeze more. When we ran out, I thawed it and it worked fine for yogurt and I think my son and husband drank the 3rd quart w/o complaint. Wardeh had a video recently making kefir cheese balls and storing them in olive oil? I think she said it would keep a few weeks in the pantry that way. Not a year, I know, but still longer than my fresh milk would keep. I love the idea of yogurt roll-ups too. That sounds like a great snack! I’ve wondered if it’s possible to dehydrate real cheese, at least to use in a cheese sauce & such? Anyone know? Also since you can buy powdered yogurt starter, I would think you could dehydrate & powder yogurt? But don’t know if it could be rehydrated into “real” yogurt, or only useful as a starter? Finally, I was also thinking about preserving milk recently. I came across an old article, targeted at those who have their own cow(s) but need a way to have milk when the cow(s) is/are dry, about canning milk. Using a pressure canner, and obviously it wouldn’t be RAW, but would at least still avoid the “gunk” in grocery store milk, or powdered milk, and be an option for cooking and such. Do you have any thoughts on that? You know, canning milk should be totally easy, right? Canned milk is sold in stores, so why not? I would google for some “approved” recipes before trying it, but great thought! I would think powdered yogurt would be tough to rehydrate; just a guess. Have you posted how to make the yogurt rolls? Sounds like a perfectly marvelous snack item! We have powdered milk and powdered buttermilk as part of our storage, but we don’t drink it every day. I even wrote an article about getting kids to drink it. I think in a long term preparedness/disaster scenario, we probably would have to change our dairy habits. I store Tums (calcium vitamins) for this reason. Don’t forget that Horizon milk is sold in shelf stable cartons now. It’s organic, but Ultra-pasteurized. You can can butter and cheese, as well as wax cheese for long term storage. Cheese is basically just “milk storage” from a time before refrigeration! That’s how they kept it. And ghee keeps for a long time on its own, although I guess that’s not really a dairy product since the milk solids are filtered out. I have a few cans of coconut milk and should get more. You can easily make yogurt and kefir with it, in addition to drinking and cooking with it. It isn’t traditional dairy but it is another tool in the tool kit. My husband would point out that Laughing Cow cheese is shelf stable but I don’t buy it. Though he does. Brittany — After reading Katie’s great post in my inbox, I came by here to mention those cheese balls. Thank you! What I was going to say was that we can store low-moisture cheeses (or cheese balls) in olive oil at room temperature or cool storage indefinitely. I make a very low-tech Middle Eastern cheese and pop the cheese in olive oil. The jars sit in my pantry. I do the same with feta and kefir/yogurt cheese balls. Then of course, there’s the option of making cheese from the abundance of raw milk, and letting it age while waxed, which I’ve just begun to do. They still need to be kept cool — either a fridge or cold cellar. There are several places including emergency essentials that sale freeze dried cheese that is not powdered, although still not as good for you as fresh it is fewer ingredients than the proccessed canned and will last a long time for emergency use. They also have different types of cheese. I have used the freeze dried meat (not often but have used it). For the brands I tried there was one that stood out more and tasted fresher (if you can call dried meat fresh lol). I have to say I really liked usuing the ground beef as (one brand in particular) I just through some in a pan of whatever I was making and it was done…. snap no defrosting, browning etc. I do not use it except for very rare occasions. I do have concerns as to where the meat comes from and what is in it (we get buffalo meat from a friend so I know what is in it). I know you already discussed this in another post but oil in my house tends to go rancid quickly even coconut oil. I have no idea why and no idea what to do for long term storage, any ideas would be appriciated. As for oil, I’m shocked about the coconut oil. I’ve never had a jug smell off before….I store my stockpile in the basement where it’s cooler, but coconut oil in particular is from the tropics, so it really shouldn’t matter. What brand are you using? Are they sending you bad stuff I wonder? Extra virgin olive oil does not last longer than 6 months or so, so that’s a different beast, but coconut oil should be a cinch. ??? That’s so funny – my kids have been drinking milk like crazy lately, and we just recently switched to organic and are realizing how expensive it is! 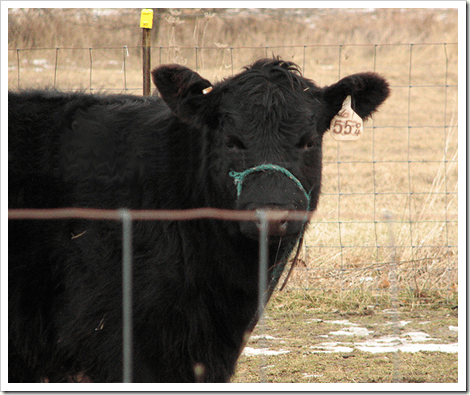 My hubs just said yesterday – we need a cow! 🙂 Of course we live in the city, so it’s not really an option, but then my daughter asked at dinner last night if when we move out of the house we currently live in (not that we have plans to move anytime soon) if we can move to a farm! We smiled at each other, it’s really not a bad idea! It is expensive, I prefer the mountain house (but shhhh dont tell anyone as the price could go up even more:). This is the one I prefer, provident pantry sales for less and is still good though. I have not tried other brands. I have not cared for the provident pantry chicken, just the sausage crumbles and ground beef. I have used several brands, the last C.O. that went bad was spectrum but I bought two bottles the one we were usuing was fine but the other turned brown and just looked off. I have had just about every type of oil go bad since moving to texas, we do not have basements or anyplace cool such as that to store food. But my kitchen is in the middle of the house with no direct access to outside windows or walls. I don’t know about the oxidized cholesterol in powdered milk, either (shouldn’t there be very little cholesterol in skim? ), but I’ve used it to make yogurt several times with good results. It is not ideal, of course, and I’d give anything to be able to have a goat! But just knowing you can take a totally dead, non-real food and bring it back to life a little in case of emergency is kind of comforting. If you have a fungus problem in your yard or garden such as mushrooms or slime mold, the best home remedy is to pour milk on it! I had a horrible problem but couldn’t bring myself to buy gallons of milk at the store to mix with buckets of water and pour in my flower beds. I checked with a garden know it all and he said powdered milk would work just as well. I can see no better use for powdered milk! I recommend using powdered milk in the garden to anyone who asks how best to use up their powdered milk stores. Many plants needs calcium to prevent things like blossom end rot. While not ideal, I think it’s better than throwing it out. I enjoy my freeze dried yogurt that Shelf Reliance sells. They have all different flavors and my kids love it. You can also rehydrate it and make it into actual yogurt. I also enjoy their sausage crumbles and their instant powdered milk. I love the idea of freeze dried fruits and veggies as well because most of the nutrition is still intact after the process is done. They also have freeze dried cheese as well. I am actually a distributor of Shelf Reliance. I have noticed that you have posted about one of the entree meals that you have had before. I think being preparend is the most essenital you can do for yourself and for your family. But you need to store what you eat and eat what you store as the saying goes. You never know what kind of disaster is going to hit and you want to be ready. Most people aren’t ready and the government isn’t going to be able to help everyone.